A natural or legal person who carries out an activity in Madagascar must register within 30 days of starting the activity. Opening a bank account is mandatory for any newly registered company. A newly registered business entity must apply for taxpayer identification number (NIF), a statistics number from the National Bureau of Statistics (INSTAT) and an RCS number from the Trade and Companies Registry (Registre des Commerces et des Sociétés). Registration is also required with the National Fund for Social Welfare (CNaPS) (see Labour tab). The entities are represented at the Economic Development Board of Madagascar, within its one stop shop, which is the technical body for company registration. Investors may choose to establish a domestic limited company when they fund their activities using a debenture loan (which is not allowed for a domestic limited liability company) or if the company is planning to expand its activities in the future and will require significant investments. 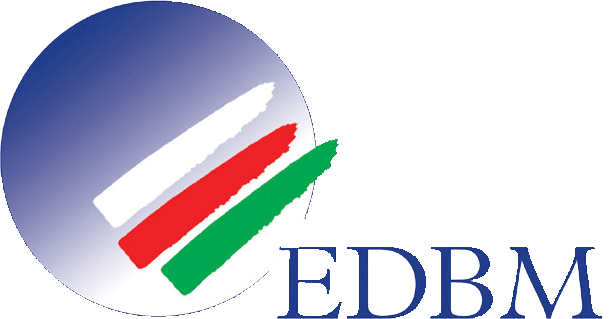 Register the company at the one stop shop of the Economic Development Board of Madagascar (EDBM): submit the documents described in the procedure below. 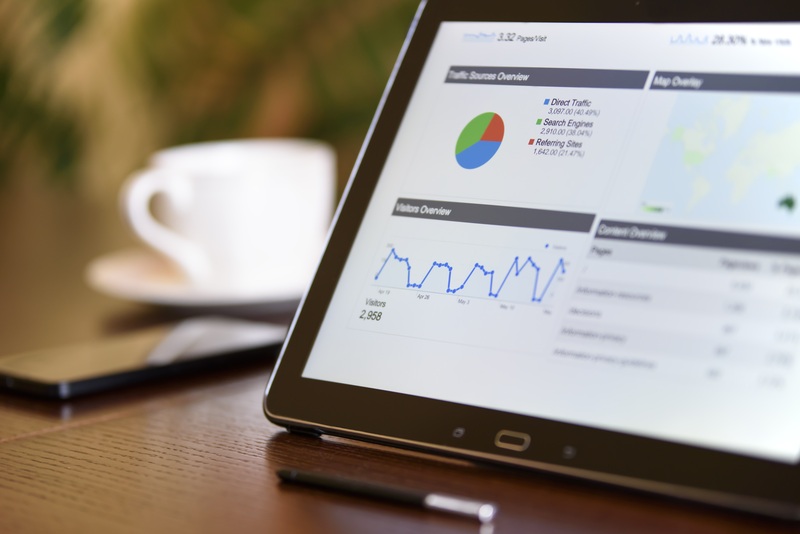 Alternatively, investors may choose to establish a limited liability company when its associates envisage a degree of relational proximity or a more restricted activity than that of a limited company. Investors may choose to establish a branch for a short-term activities or market exploration. 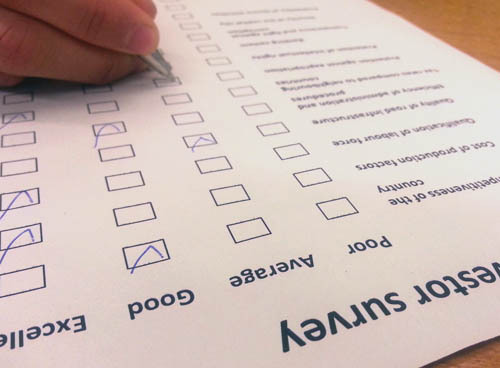 The structure is easy to register, but lacks legal autonomy. There is no limit on its duration. a limited cost compared to the subsidiary. Boarding agreements or 72-hour entry visas for the purpose of obtaining a convertible visa. Company modification at the Trade and Commerce Registry. Free regime companies and free zones. Opening authorizations, classification and licenses. Prior notices of creation (tourism sector). Residence permits and morality investigations carried out by the Ministry of Interior prior to long-stay visa approval. Administrative costs simulation during company creation. Investors can communicate with EDBM in French or English, but all required documents must be submitted in French or translated into French. Madagascar provides a range of incentives for investors. These derive principally from the Investment Law. However, they are supplemented by additional legislation including the Free Zones and Free Companies Law and the Law on Large Mining Investments. the right to transfer funds abroad. 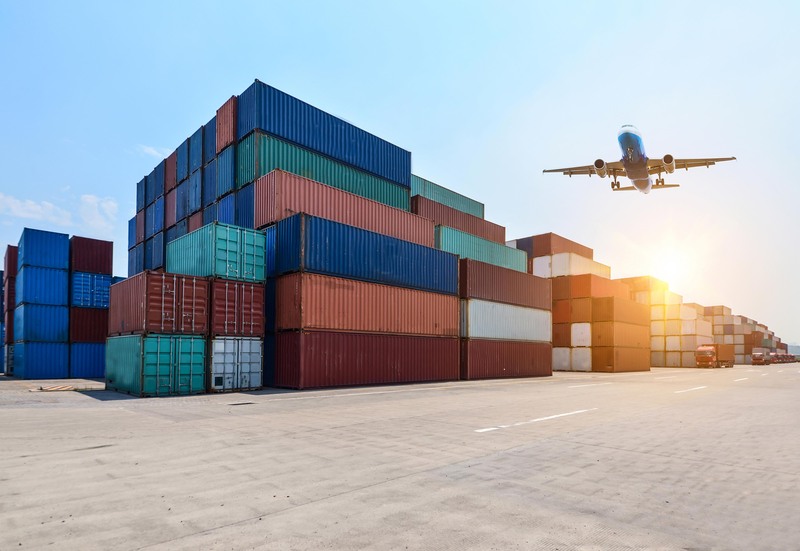 The Free Zones and Companies Law provides incentives to national or foreign investors investing in activities geared towards exports (at least 95% of production must be exported). 5 year exemption of corporate tax for industrial firms engaged in processing and intensive production, then corporate tax at 10% thereafter. 2 year exemption for service sector companies, then 10% thereafter. 15 year exemption for all other types of free zone company, then 10% thereafter. Industrial processing companies (“entreprises industrielles de transformation” EIT). Service companies (“entreprises de services” ES). Basic intensive production companies (“entreprises de production intensive basique” EPIB). Free Zones (“zones franches” ZF). Investors who want to benefit from those incentives can submit a request for approval to EDBM, after registering online through the MIDAC online portal (Ministries, Departments and Control Agencies or “Ministères, départements et agencies de contrôle” ). This law supplements the Mining Code and establishes a special regime for foreign exchange, taxation, customs and other elements concerning major mining investments. The law benefits investors, permit holders and industrial processing companies that make large investments in the mining sector (investments of more than 50 billion MGA, approximately 15 million USD). 5 year exemption on corporate tax followed thereafter by 25% for mining operations and 10% for processing operations. International arbitration clause for settling any dispute. Duty free import of equipment. To benefit from these advantages, investors must obtain investment eligibility certification from the Ministry of Mines. The decision is made by decree of government committee, chaired by the President. 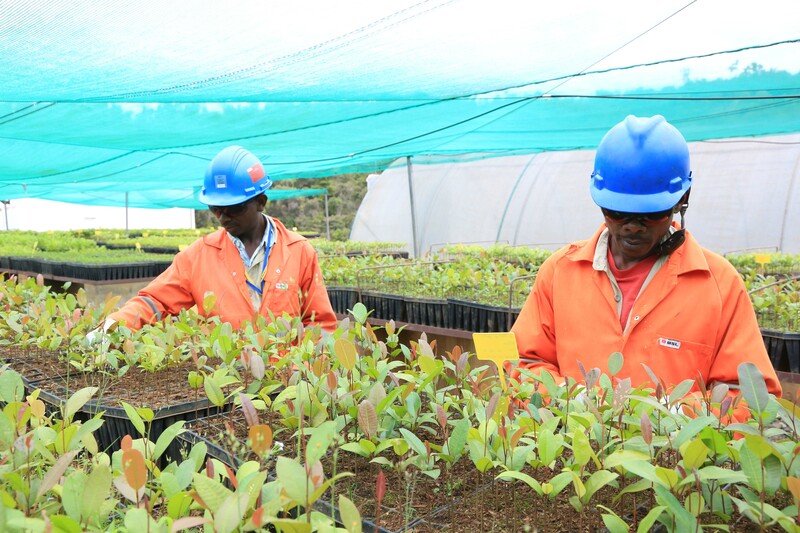 Depending on the sector, the investment may require an Environment Impact Assessment (EIA), integrating socio-economic and environmental issues. Subject to a positive evaluation of the EIA, the National Office for Environment (Office national de l'environnement - ONE) delivers an environmental permit combined with an environmental management plan. Investors need to submit an environment impact assessment along with the accompanying forms, which are detailed on the ONE website (see relevant institutions). If the documents have been correctly submitted and there are no further questions, processing time is 6 months. Starting a business in Madagascar is reported to be easy and straightforward, including the environmental impact assessment and compliance procedures. Investors of are also pleased with the assistance and follow-up provided by the EDBM. Nonetheless, daily administrative processes once the company is established tend to be slow and investors feel more effort should be devoted by the government to improving this aspect. The population is estimated at 24.8 million, formed of 64% living in rural areas and 36% in urban ones. 55.68% are aged between 15 to 64. The education system in Madagascar is based on the French model. Primary and secondary education is free of charge. Primary completion rate was 68% as of 2016. Literacy rates for 15-24 year-olds was 71.6% in 2012.
International labour rights are recognized in domestic labour law, with provisions to ensure freedom of association; the prohibition of forced labour, child labour, employment discrimination; and the establishment of minimum wages, as well as weekly work hours. Terms and conditions of employment may be changed with the agreement of the employee. The law provides workers in the private sector, except for seafarers, the right to bargain collectively. 6 months for high-ranking executives (cat. 5). Beyond the probationary period, the notice period of termination of contract is three months, with the payment of a severance. In general, these payments are calculated at ten days of salary per full year of employment, and are capped at six months of salary. There is no unemployment insurance or other such safety net for workers laid off for economic reasons, aside from the mandated severance pay. The Labour Law differentiates between firing for cause and lay-offs, and allows employers to adjust employment in light of fluctuating market conditions with the payment of a severance. The requirements are different in case of firing for cause. The law establishes labor dispute mechanisms, which proceed progressively from internal negotiation to outside mediation from the Ministry of Labour to arbitration or legal settlement through the competent court. 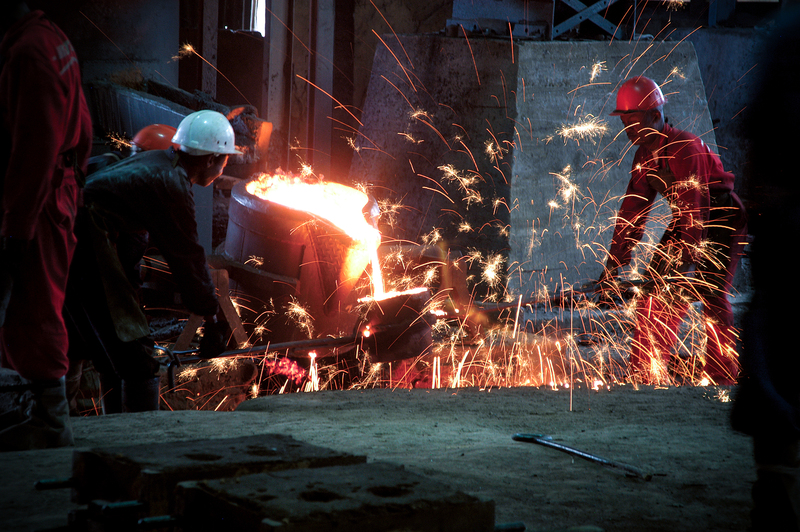 The Government is charged with setting occupational safety and health standards for workers and workplaces, but penalties for non-compliance are not defined in the labour code, which only requires an inspection before a company can open. The National Fund for Social Welfare, the country’s social security agency, also conducts inspections and publishes reports on workplace conditions, occupational health hazards, and workplace accident trends, though these inspections are also limited by a lack of resources. The table below shows indicative monthly wages paid by foreign investors, which are significantly higher than the government-set minimum wage of 51 USD per month. The work week is up to six days with a maximum of 8 hours per day. Non-wage benefits provided by an employer. The employer must register workers with a corporate health organization: OSIE, AMIT or FUNHECE. Every employer must be registered with the National Fund for Social Welfare (CNaPS) for each of its activities. Registration must be made within 15 days after the opening or acquisition of the company, or hiring the first paid staff. Contributions to the National Fund for Social Welfare (CNaPS) is mandatory, and shared between the employer and the employee. The rates depend on the type of establishment and are presented in the following table. Investors can recruit foreign employees without restriction. For this, they need a work permit issued by the Ministry of Civil Service, Administrative Reforms, Labour and Social Legislation (MFPRATLS). The first application or the renewal of the work permit must be submitted to the MFPRATLS through EDBM. Investors consider labour costs relatively low and note that people are willing to learn though in the quality of the skills acquired at school varies. Companies therefore often engage in in-house upskilling to bring people to speed. There is a shortage of qualified engineers and related professions, resulting in a high turnover. Leading positions in companies and operations requiring more advanced business and/or technical skills are still often retained by expatriate staff, although the return of Madagascans from abroad is mitigating this somewhat. Some investors report a lingering but fading suspicion towards foreign workers. Work permits are relatively easy to obtain. No issues have been reported in relation to the administration of social security. JIRAMA (Jiro sy Rano Malagasy) is the main supplier of electricity (as well as water) in Madagascar, but there are other independent power producers. Regulation, control and monitoring of the sector are provided by ORE (Office de Régulation de l’Eléctricité - Electricity Regulation Office). JIRAMA's current generation fleet has a total installed capacity of 699 MW. Although Madagascar has a huge potential in hydro-electric generation (7,800 MW of which only 1.6% is exploited), in solar energy (2,000 kWh / m² / year) and in wind energy (2,000 MW), the current production of JIRAMA is largely dominated by thermal source energies. Currently, only 24% of installed power is of hydraulic origin and the remaining 76% is of thermal origin. In addition, the Rural Electrification Development Agency (ADER) and the National Fund of Electricity (FNE) were created in 2002 to accelerate the electrification of the country, to promote the access to the service electricity base of the rural population, and develop renewable energy sources, including wind, hydro, and solar. The Jiro sy Rano Malagasy (JIRAMA) provides drinkable water services through its management of surface and groundwater resources. To get a water connection for a new site, application must be made to any of JIRAMA’s business offices. A site inspection follows with an estimate for the required work generated. Service installation follows on payment of the estimate. Cable EaSSy connecting 9 countries (available capacity of 166 STM-1, 10,500 km long). Cable lIoN 1&2 linking respectively 3 and 2 countries (capacity of 16 STM-1). Cable Fly/lIoN 3 securing EaSSy and lIoN (in process). Four operators are present in this sector: Telma, Orange, Airtel and Blueline. The ARTEC (Autorité de Régulation des Technologies de Communication) or Regulatory Authority for Communication Technologies ensures the regulation, control and monitoring of telecommunications. The road network is made up of 5,278 km of national roads, of which 61% are paved. Madagascar has 12 airports, of which 6 are international and can accommodate variety of large commercial aircraft. 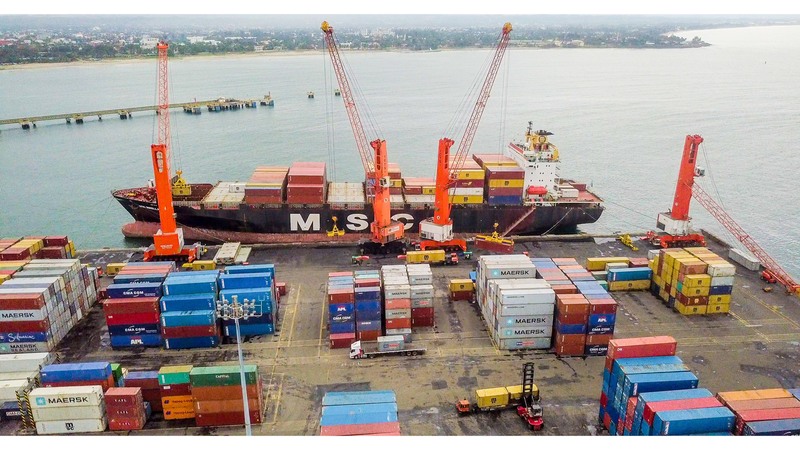 There are 11 seaports, including 5 container terminals, the biggest being Toamasina. The other container terminals are Taolagnaro (the second largest deepwater port in the Indian Ocean region), Toliara, Mahajanga, and Antsiranana. Secondary ports are Nosy-Be, Antsiranana, Manakara, Mananjary, Morondava and Vohémar. The Maritime and fluvial port agency (Agence Portuaire, Maritime et Fluviale APMF) is the authority responsible for the regulation of the port, sea and river subsector. Typical costs according to interviews with transport companies are in the table below. Electricity prices are thought to be relatively high and supply rather unreliable. Access to electricity often limits where companies can effectively invest. Connections to the grid can also be complicated and lengthy. Power cuts occur frequently as energy is often in short supply; however companies get a priority in receiving electricity from the grid. Power generators are ubiquitous though petrol is relatively expensive. 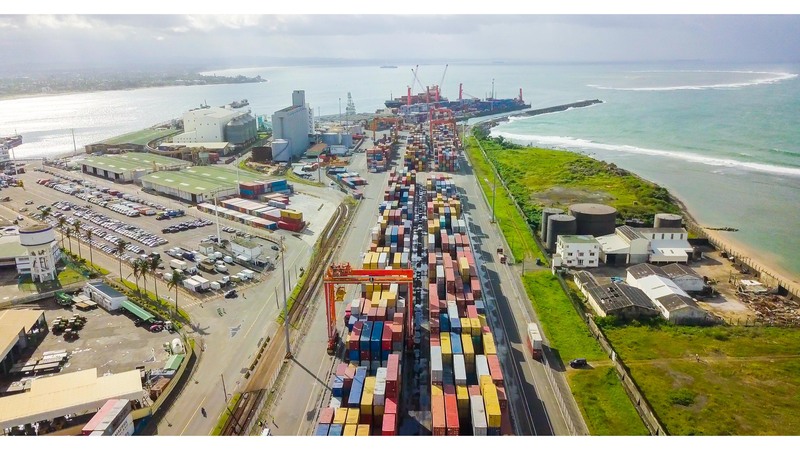 The port of Toamasina operates at its full capacity. 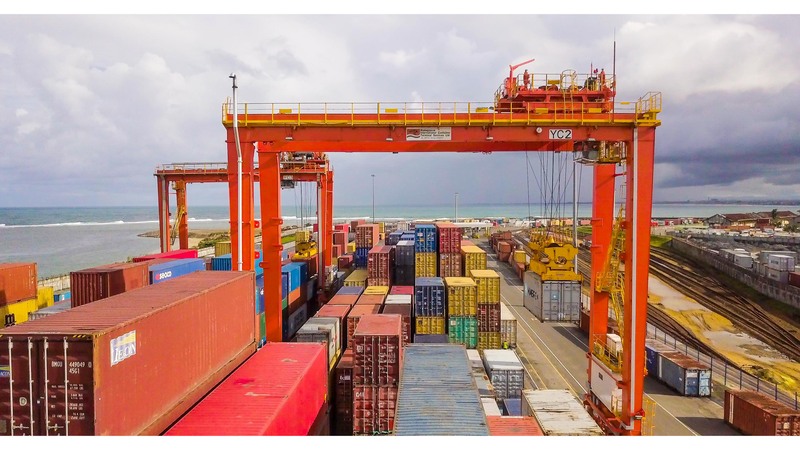 Import customs procedures usually take about 72 hours and then further 12 hours are needed to take the cargo from the port to Antananarivo as there is only one road connecting the port to the city. Customs and entry checks are inconsistent in terms of the time they require, and political uncertainty has seen customs offices close sometimes for days on end, holding up goods in port. Investors on Nosy Be island noted that the requirement for goods exiting by air to be exported via the main island added to costs and decreased reliability. Sea port handling for connections between Nosy Be and the main island are seen as rudimentary. The weak quality of roads sometimes discourages tourists from travelling around the island. No issues with water prices or supply in and around Antananarivo have been reported. 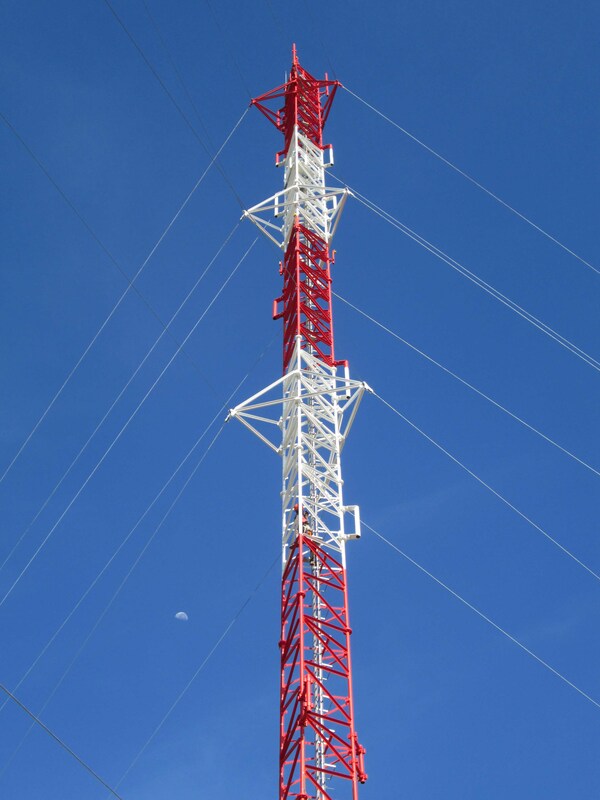 Telecommunication services are seen as reliable and affordable. Madagascar‘s law recognizes private and state land. Foreigners do not have the right to buy land. Private land can be owned by individuals of Malagasy nationality or companies registered with Malagasy ownership. Leasehold: Landowners are free to transfer their rights by lease. Leaseholds are subject to the terms of the parties’ agreement. Leasing is relatively common, with between 10% and 30% of land leased in cropping. The Investment Law provides foreign investors authorization to acquire real estate property through lease with a maximum, renewable duration of 99 years, so long as the property is solely and continuously used to carry out commercial activity. Concession: Concessions can be granted on state land up to a period of 30 years. Concessions are subject to the government’s terms regarding land use and can be revoked for noncompliance. Sharecropping: An estimated 45% of all tenancies are sharecropping relationships. Ownership: Land can be owned by the state, individuals or groups. Landowners have the rights of exclusive possession and use of their land, and land is freely transferrable. Land can be held in ownership if it is titled or the ownership rights of an individual or group are recognized by a land tenure system and can be recorded. An estimated 90% of farmers are owner-operators. The law specifically prohibits the acquisition of land by foreign investors for resale in its original state, or for resale after development. Acquisition of state land through leasehold (requiring development of the land) or concession, is subject to the undertaking of local consultations, both with local authorities and local communities. In all cases, foreign investors need to present an investment programme to the Ministry of Land Tenures and EDBM, and then to request either an emphyteutic lease or a concession. Typical costs according to interviews with real estate professionals are below. 1 handwritten request addressed to the mayor and chief of the fokontany. It should be noted that depending on the fokontany (smallest administrative entity), documents may vary. The fee is calculated based on the size of the project. Investors note that leasing land is relatively simple. However, the procedures to buy land and start construction projects are seen as cumbersome, sometimes reliant on too much administrative discretion. Construction permit procedures can also be slow and can also present opportunities for administrative discretion. Further, investors in the property sector feel that planning laws need updating. Land-related litigations happen and investors ought to make sure that all the procedures are correctly observed and that they are buying from the right title holders. Further, investors should be aware that land can be a political touchstone, particularly for large projects and if local communities might be displaced. With regards to export processing zones, feedback was positive and customs procedures were seen to be fairly observed. A newly registered business entity must apply for a taxpayer identification number (NIF), a statistics number from the National Bureau of Statistics (INSTAT) and an RCS number from the Trade and Companies Registry (Registre des Commerces et des Sociétés). Registration is also required with the National Fund for Social Welfare (CNaPS) (see Labour tab). The fiscal year is the calendar year, but a different cycle may be requested. The taxable basis is income earned in Madagascar. Companies that can be taxed include those incorporated in Madagascar or external companies doing business there. Taxation is governed by the General Tax Code following the annual finance law. Taxpayers realizing a turnover under MGA 100 million may choose between the normal tax regime (impôts sur les revenus - IR) and the lower revenue tax regime (impôt synthétique). Taxpayers realizing a turnover exceeding MGA100 million are subject to the normal tax regime. 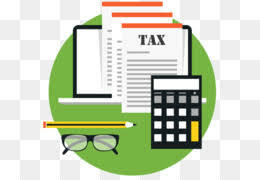 Tax deductions include for example all expenses related to any form of health coverage paid by the employer for the benefit of all its employees (see Labour tab). Deductibility is in the limit of 5% of the payroll. The declaration must be made annually. It is established according to the turnover, income or gains in a year with payment of half-yearly instalments in advance. The rate is 5% of the overall turnover and must be reported annually, more precisely, by March 31st of the year following the year of the realization of turnover or the acquisition of gross income or gain for all other cases. VAT (Taxe à la valeur ajoutée - TVA) is 20% and must be reported no later than the 15th day of the month following the tax period. Exports of goods and services are taxed at a rate of 0%. All companies with a turnover equal to or more than MGA 100 million are subject to VAT. equipment, materials and equipment for the production of renewable energy. Taxes on revenues of movable capital (Taxes sur les revenus du capital mobilier - TRCM) applies to income from movable assets (interest, income and all other income from bonds and loans, etc.). The rate is 20% of revenues of movable capital and its statement must be done annually. Tax on income and wage-related revenues (Impôts sur les salaires et revenus assimilés - IRSA) is the amount withheld and paid by the company on wages paid to its employees. It is 20% for the salary range superior to 250,000 MGA. The payment is made on monthly basis, within the first 15 days of the month following the one in which the deduction was made. IRSA payments by taxpayers which are subject to the lower revenue tax regime (‘impôt synthétique’) may be made per quarter. Custom duties (droits de douane) range from 0 to 20 percent, depending on whether it is a basic, intermediary or finished product and whether they pertain to a protected local production sector. For example, electric components are taxed at 10%, whereas cloves are taxed at 20%. Duties may be reduced in line with Madagascar's commitments under the COMESA, SADC and the Interim Economic Partnership Agreement (EPAi) treaties. Examples of duties are below. Stamp duty (droits d’enregistrement) is applicable in the context of restructuring of the share capital (creation, capital increase, merger, etc. ), commercial lease contracts, housing and transfer of ownership of property. It is paid within two months after the signing of the contract, and is usually either a fixed duty or a proportional duty depending on the nature of the transaction. The taxable base is the amount provided for in the contract or fixed by the general tax code. Investors appreciate the option of filing tax reports online. No problems have been reported if companies fully observe all the procedures and requirements. Some investors think that the mentality of the tax office is to punish rather than advise when mistakes are found. Some also noted that there remains uncertainty about certain taxes and their legal application. It was also noted that customs could be inconsistent in the application of duties. Madagascar's legal system is based on French civil law, and its provisions contain protections for private property rights. Local commercial law consists largely of the Code of Commerce and annexed laws, which are reportedly applied in a non-discriminatory manner. 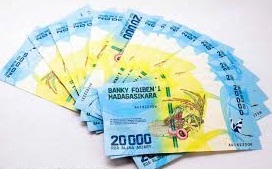 In addition to the freedom of investment and equality of treatment for foreign and national investors, Madagascar's Investment Law includes articles on the protection of patent rights, freedom to transfer funds abroad without prior authorization, protections against expropriation and a stability clause guaranteeing investor privileges from future legal or regulatory measures. There is no legal requirement that nationals own shares of foreign investment, nor any restriction on the mobility of foreign investors. Madagascar has legal and treaty measures that provide protection, which are detailed below. The Investment Law provides foreign and local investors protection against nationalization, expropriation, and requisition, with the exception of public interest cases as established by regulation. Such cases require official proclamation by the government of the public interest of a proposed project, to include infrastructure works, establishment of natural reserves, or military sites, among others, requiring expropriation of private property. In these cases, the investor is to be granted a fair and prior compensation according to the market value of expropriated interests. Madagascar is a member of the International Centre for the Settlement of Investment Disputes (ICSID Convention) and under domestic law, disputes between foreign investors and the State may be handled through arbitrage proceedings administered by this institution. If the foreign investor is the initiator of the proceedings, they may also choose to submit the dispute to the Commerce Tribunal, the competent Malagasy jurisdiction. 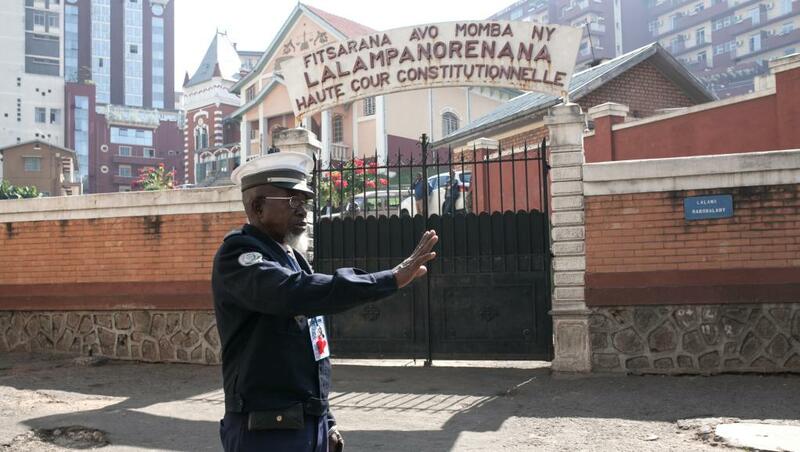 The Malagasy Arbitration and Mediation Center (known by its French acronym, CAMM) was created in 2000 as a private organization to promote and facilitate the use of arbitration to resolve commercial disputes, both international and domestic, and to lessen reliance on a court system that is, at a minimum, overburdened. 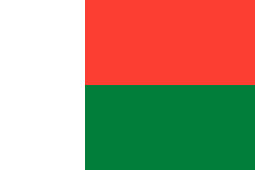 As a signatory to the convention on the Recognition and Enforcement of Foreign Arbitral Awards (1958 New York Convention), Madagascar also accepts international arbitration as means of resolving investment disputes. Based on the obligation of the New York convention, domestic courts should recognize and be willing to enforce foreign arbitral awards. International arbitration is also accepted as a means of settling commercial disputes between private parties. Madagascar is party to a number of bilateral investment treaties and treaties with investment provisions, which are detailed below. The Investment Law provides foreign and local investors the right to freely transfer abroad without prior authorization. 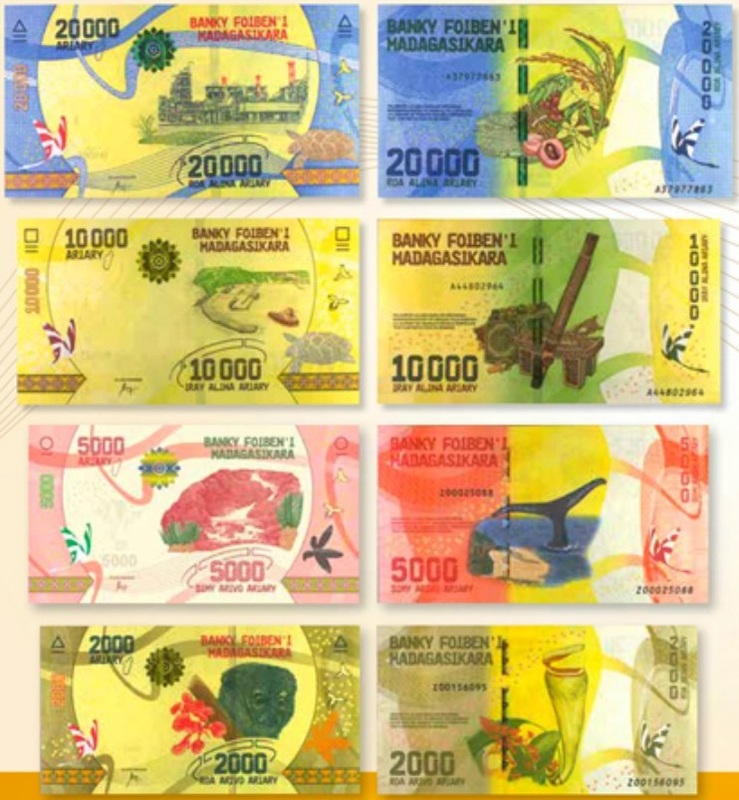 There are repatriation requirements for export earnings, and some specific capital controls, but Madagascar abides by the IMF’s Article VIII statutory framework, which prohibits direct government limitation on foreign exchange use and availability. Two government offices share responsibility for the protection of intellectual property rights: the Malagasy Office for Industrial Property (OMAPI) and the Malagasy Copyright Office (OMDA). These offices are financially autonomous bodies, despite their close collaboration with the Ministry of Industry, Ministry of Commerce, and Ministry of Culture and Handicrafts. Madagascar is signatory to the following intellectual property agreements. The Convention for the Protection of Producers of Phonograms Against Unauthorized Duplication of Their Phonograms (1971) protects producers of phonograms (sound recordings) originating from signatory countries against unauthorized duplication, as well as against importation and distribution of duplicates of their works. No issues have been reported with the way investor rights are upheld and protected. Madagascar is a mostly liberalized economy with many untapped natural resources. 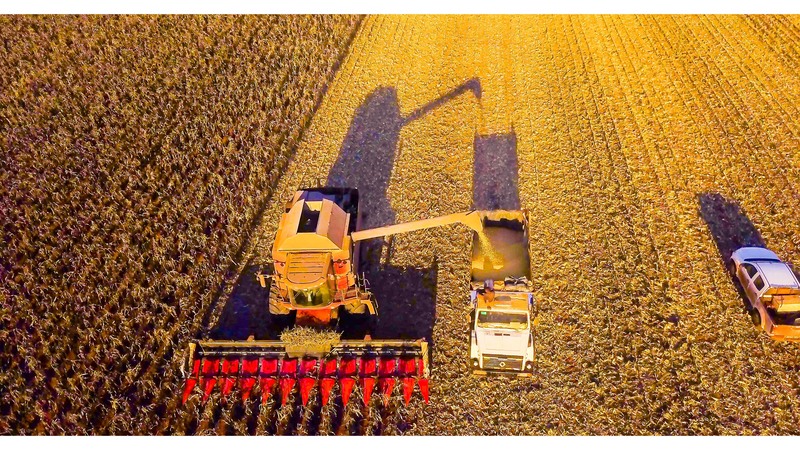 Agriculture, including fishing and forestry, is the mainstay of the economy, accounting for more than one-fourth of GDP and employing roughly 80% of the population. Almost half of the 60 million ha of the country’s total land area is suitable for agriculture, and 18 million ha of arable land is still available. Real GDP growth was 4.2% in 2016 and 2017. Driven by the secondary and tertiary sectors, real GDP growth is projected to be 5.2% in 2018 and 6% in 2019. France remains Madagascar's leading export customer (21.5% of Malagasy exports). Strong export sectors include textiles, essential oils, cloves and vanilla, as well as tourism. Madagascar is a member of the WTO as well as a number of regional groupings. It has preferential access to the following markets. SADC is a regional organization bringing together countries in the Southern Africa region. It provides for cooperation in a number of areas through legally-binding protocols. The SADC Free Trade Area provides for common external tarrifs on a range of goods. It is envisaged that the free trade area will be integrated into the Continental Free Trade Area. Under the African Growth and Opportunity Act (AGOA) Sub-Saharan African countries benefit from duty-free access to the United States for an additional range of 1,800 products that are excluded from the Generalized system of preferences. These include most textiles and apparel; watches; and most footwear, handbags, and luggage products. With regards to apparels, the textiles and yarns must in general originate from Sub-Saharan African countries or the United States. Developing countries benefit from preferential duty-free access to the United States for up to 5,000 products, under its Generalized system of preferences (GSP). Eligible include: most manufactured items; many types of chemicals, minerals and building stone; jewelry; many types of carpets; and certain agricultural and fishery products. Among the products that are not eligible are: most textiles and apparel; watches; and most footwear, handbags, and luggage products. Under European Union's Everything But Arms Initiative (EBA), least developed countries (LDCs) enjoy duty-free access to the EU market for all products except arms and ammunition. Sugar and other processed foods are permitted. Madagascar benefits from diverse landscapes and climate areas, that have favoured the development of a unique biodiversity, both on land and along the coast, of which 80% of flora and fauna species are endemic. The cornerstone of the country's tourism offering is its environmental heritage for which the government has introduced a national parks policy designed to include ecotourism projects, with potential for development of eco-lodges and luxury resorts. The Northern circuit: from Nosy Be to Diégo Suarez bay, passing through the Ankarana massif, sea and forests attractions. It is well suited to adventure tourism. From Nosy Be, tourists embark on cruises and tours to archipelagoes composed of small islands, for fishing, snorkeling, or diving; and can also explore ylang-ylang refineries and traditional handicraft villages. 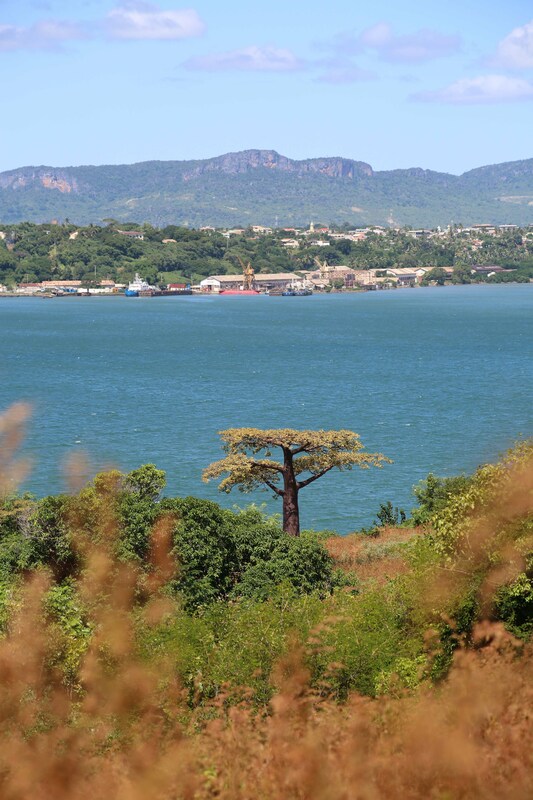 The Western circuit: between river cruises, treks and marine excursions, the programme comprises the discovery of the Tsingy de Bemaraha, Belo sur mer, with a highlight being the “path of the baobabs”. The Eastern circuit: to the lush landscapes of the East, this tour starts with the discovery of lemurs and other rare species of fauna and flora sheltered by the Andasibe forest, then heads towards the Pangalane Canal. 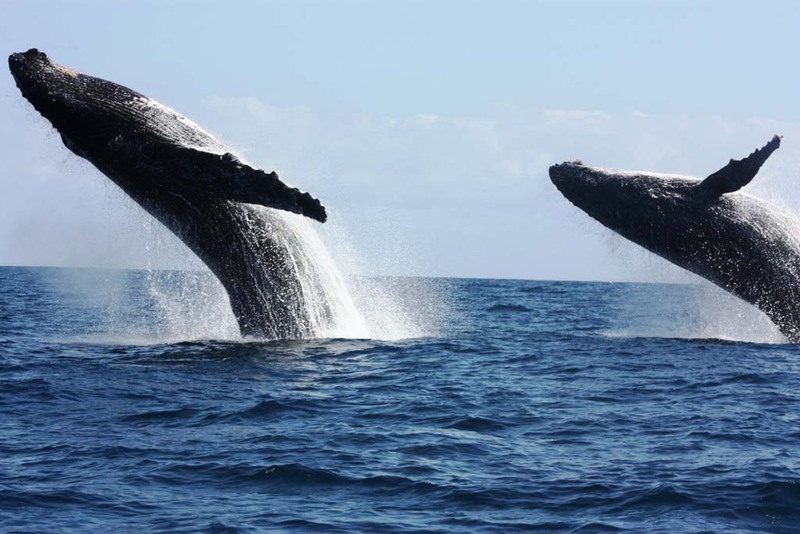 This route continues north to the port city of Toamasina and ends on the beaches of the island of Sainte Marie, popular for its whale safaris. 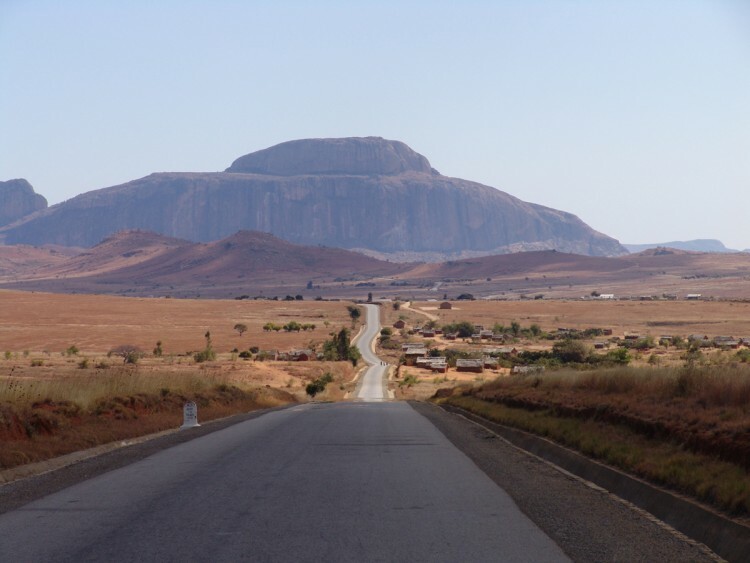 The Southern circuit: crosses the center of Madagascar from Antananarivo to Tulear, offering diverse scenery. It includes forests, the Isalo massif and turquoise blue lagoons with thermal baths, wood carvings, vineyards and national park visits. Tourist arrivals were 255,460 in 2017. France remains the main source market for Madagascar with 44% of the total international visitors. Tourist numbers are growing at 20% per annum on average, but are limited by the supply of hotels, air connections, tour operators and other services. Develop eco-lodges and hotels in the vicinity of national parks, as well as other related hospitality services (transports, catering, etc.). Develop hotels able to accommodate larger groups along the established circuits. Create services related to water sports: surfing, wind-surfing and kite-surfing, sailing, Kerala-style house-boats. Develop a leisure marina in or near the ports and other related services. Develop MICE related hospitality infrastructure (adequate to accommodate large groups of tourists, such as meetings, conferences, and convention infrastructure and facilities) and other related services (transports and catering for large groups). Create adventure tourism related services: rock-climbing, caving, rafting, trekking, trail-biking and paragliding. Nosy Bé, an island off the Madagascar main island, has traditionally specialized in beach tourism. With a bed capacity of 2,500 (2015), it provides accommodation from guest houses up to four stars all-inclusive resorts. There are two types of accommodation. Smaller hotels cater to independent travelers, while larger establishments have resorted to foreign tour operators to fill their rooms. The Royal Beach Hotel is planning a new site further north on the island. Meanwhile foreign hotels groups such as Accor and Hilton have also been prospecting the island together with local partners. 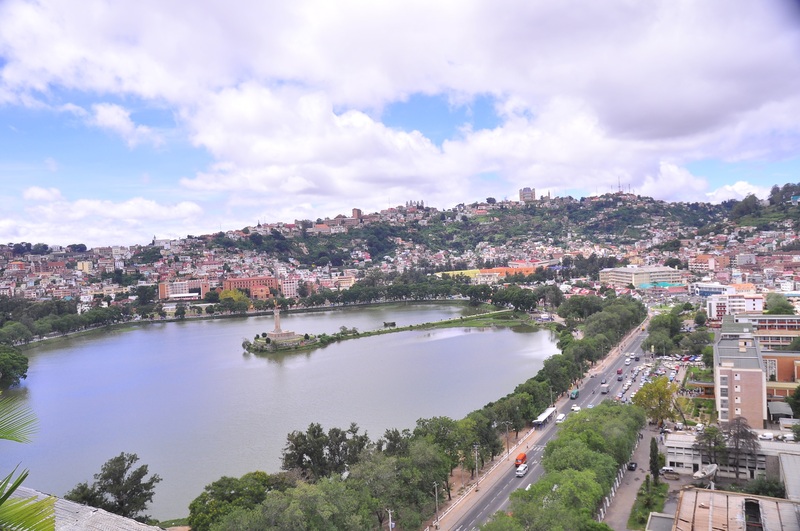 New air connections have also been opened to Addis Ababa and Johannesburg, meaning tourists no longer have to change in Antananarivo, a connection that is seen as unreliable. However, challenges remain. Hotels have had to source food mainly from the main island as agricultural production on Nosy Bé is currently limited. Electricity is expensive although supply is for the most part guaranteed to hotels. Hotels need to invest significantly in training their staff, and hotel managers are often foreign. And in order to circumvent challenges with the national airline, one hotel company bought its own plane to take guests to and from the mainland. Hotel managers also cited challenges related to Nosy Bé airport itself. The facilities are limited and the Tourism Board has been working hard with authorities to change the behavior of airport officials towards tourists. Madagascar's mineral wealth includes metals (ilmenite, nickel, zircon and cobalt), precious and semi-precious stones (sapphire, ruby, aquamarine, tourmaline, topaz, amethyst, emerald) and oil. The Law on Large Scale Mining Investments, for investments of 25 million dollars and above provides for investment protections, fiscal benefits and guarantees, including stability in the legal, tax and customs environments. Madagascar has set up a mining cadastre to inform potential investors of opportunities in the sector. Madagascar is also a member of the EITI (Extractive Industries Transparency Initiative) process. QIT Madagascar Minerals: a mining company, 80% owned by Rio Tinto and 20% by the Malagasy government represented by the Office of National Mines and Strategic Industries (OMNIS), owns and operates a mineral sands mining project near Fort-Dauphin, at the southeastern end of Madagascar. Ambatovy: a large-tonnage, long-life nickel and cobalt mining enterprise located in the East of Madagascar. 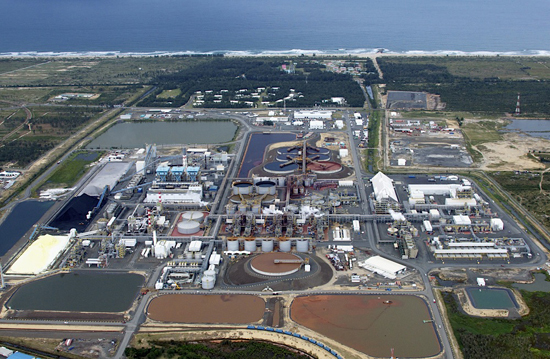 At a total project cost of US$8 billion, Ambatovy is the largest-ever foreign investment in the country – and one of the biggest in sub-Saharan Africa and the Indian Ocean region. 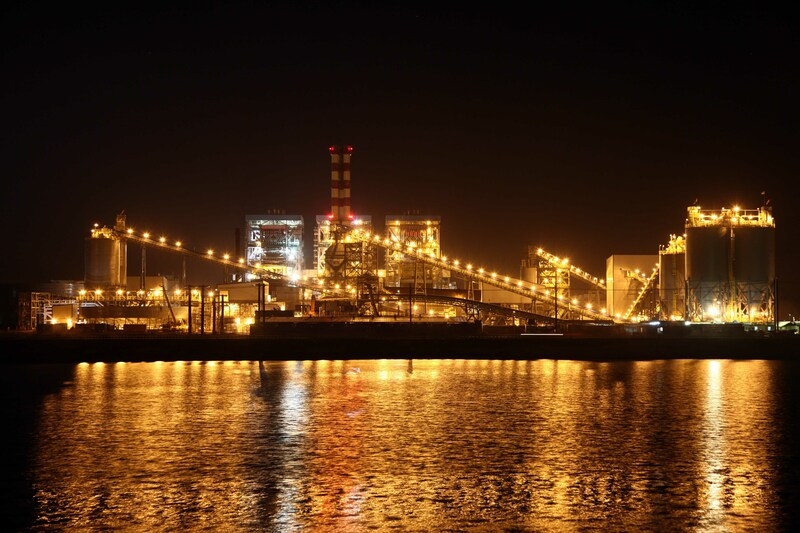 It ranks among the largest lateritic nickel mining entities in the world. NextSource Materials Inc., a mine development company based in Toronto, Canada, that is developing a fully-owned, feasibility-stage Molo graphite project. Toliara Sands: The Ranobe Mine (in the Southern region) is projected to produce 600,000tpa of ilmenite and 65,000tpa of zircon rich concentrate per annum over an initial 20-year mine life. Almost half of the 60 million ha of the country’s total land area is suitable for agriculture, and 18 million ha of the arable lands are still available. Exported agricultural products include spices, vanilla, cloves, tropical fruits (mango, pineapple, passion fruit, lychees, guava and lemon), coffee and cocoa. Transport (refrigerated containers) and other related facilitation services for exports, certifications and quality control. Established on Nosy Be island in 2012, the company sources mango, pineapple, passion fruit, lychees, guava and lemon, which it then either chops or pulps, and freezes and exports to Europe. There it is used by companies such as Danone to make yoghurts and compotes. With a workforce of 30 permanent staff that expands by 300 temporary staff during peak periods, the factory sources its fruit both from Nosy Be and the main island. It works closely with a large network of smallholder suppliers to improve their yields and claims that a single 20 tonne shipment can provide a grower with six months of income. The owner is optimistic about the future. Much of the sector is under exploited. More fruit could be processed, and with better infrastructure to bring down transport costs, new fruits such as banana could be used too. The owner has had a generally positive experience with the authorities who are willing to give permits given the jobs being created. Further, an Institut Pasteur laboratory in Antananarivo means that samples can be tested in order to pass sanitary and phytosanitary rules for export to France and Belgium. No issues have been reported with customs. The biggest challenges relate to infrastructure. Shipping fruit from the main island to Nosy Be is complicated by the lack of port facilities meaning that loading has to be done manually. 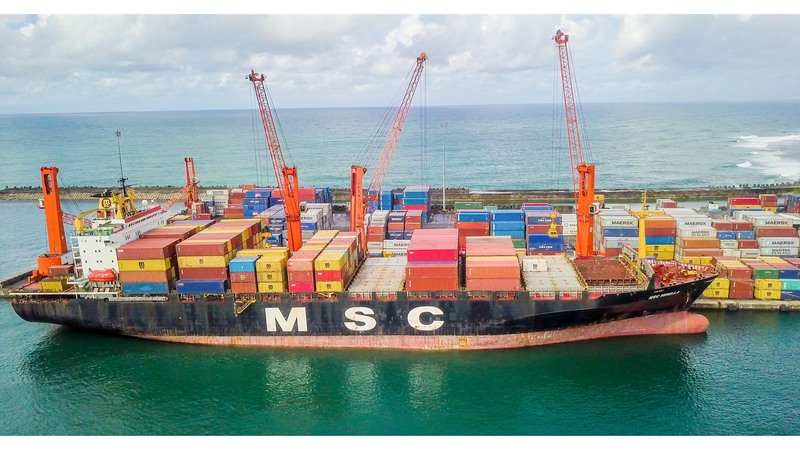 Meanwhile Nosy Be is only served by one cargo ship a month to Europe meaning that containers have to wait at port and meaning a total delivery time of two months. At the same time both the factory and the port are affected by electricity shortages and the need for more expensive backup generation. The SSPM distillery and plantation, now 120 years old, is the world’s biggest producer of ylang ylang (caranga tree) essence and other essential oils, supplying major cosmetic companies such as Estée Lauder. 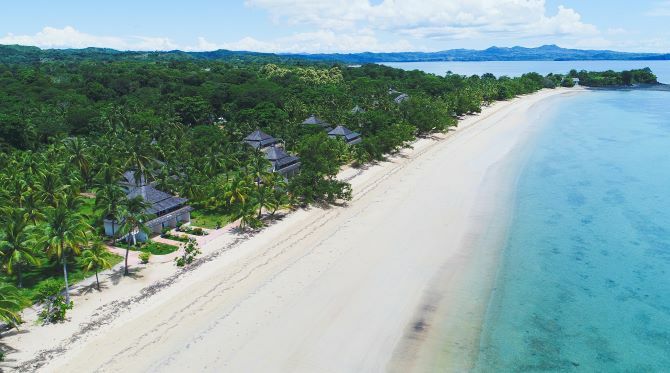 Established on the island of Nosy Be, it was bought by its current owner in 1986 and since 1991 has been designated as an entreprise franche, given that its total output is exported. Managing the business has not come without its administrative challenges. The owner cited an ongoing dispute with the local authorities relating to land taxes, and the apparent sudden imposition of a tax on forestry products at 1.5 percent of turnover, which he managed to defeat in the courts. The owner also cited a requirement to fly products out of the country via Antananarivo instead of Nosy Be airport, thus preventing the export of perishables such as green pepper, which grow on the island. 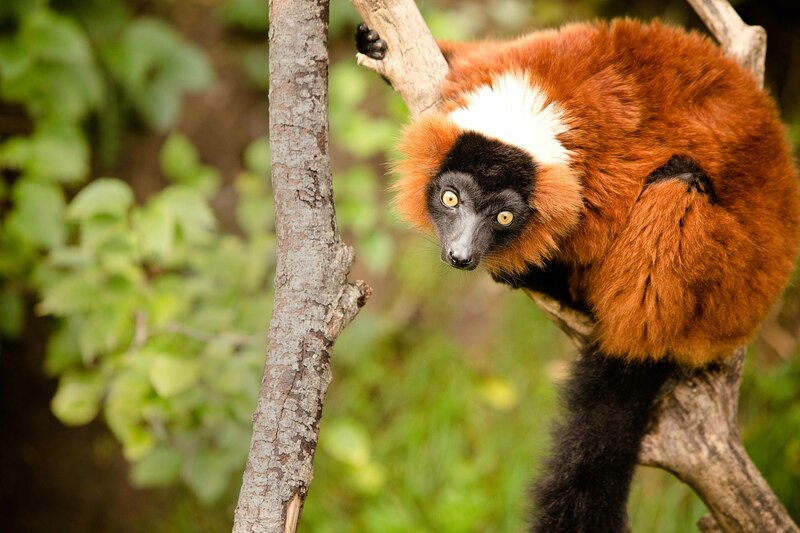 In addition to agribusiness activities, the company also owns a lemur park. Currently the demand in electricity exceeds supply, and only 23% of the population has access. 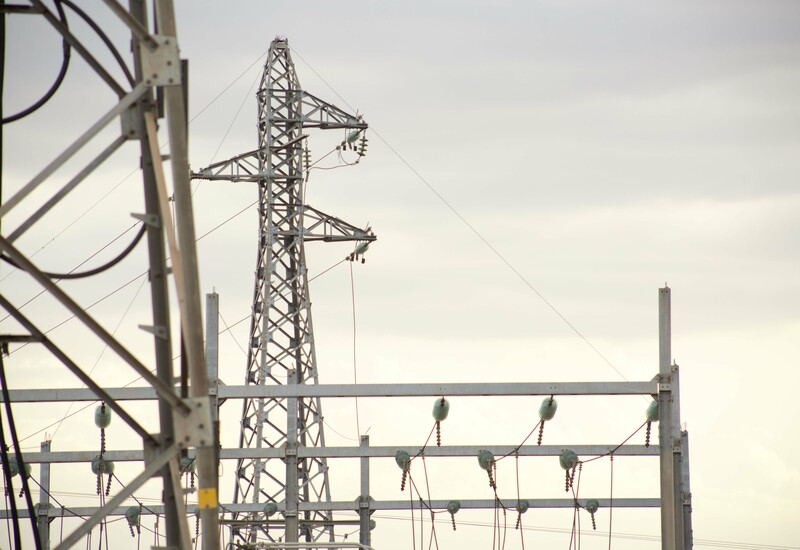 Madagascar’s three electricity grids remain unconnected. Production is sourced from thermal (76%) and hydro (24%). sunny days of 2,800 h/year providing an average of 2,000 kWh/sqm/year. at 50 m high, a sufficient wind force reaches a speed of 6 to 8 m/s in the North, 6 to 6,5 m/s in the centre and of 8 to 9 m/s in the southern most part. Additionally, recent legal and institutional reforms have opened up the sector for private investments, including with the provision of 25-year guaranteed feed-in tarrifs. 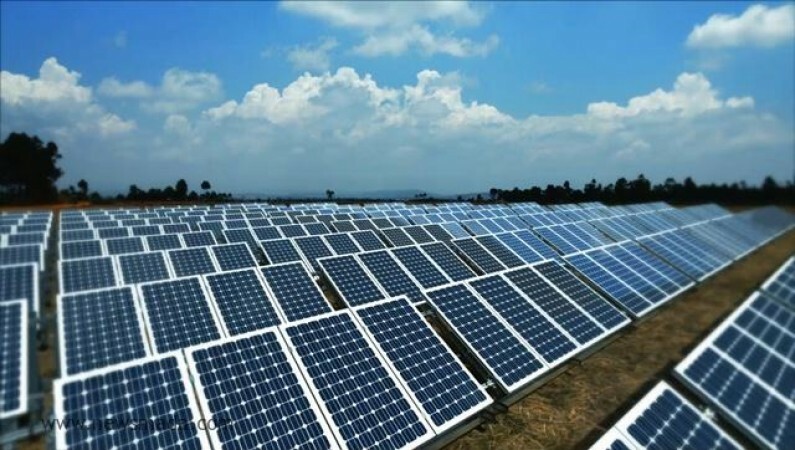 Tax reductions of 50% for investments made in the production and supply of renewable energy. Exemption from duties and taxes on various renewable energy equipment. 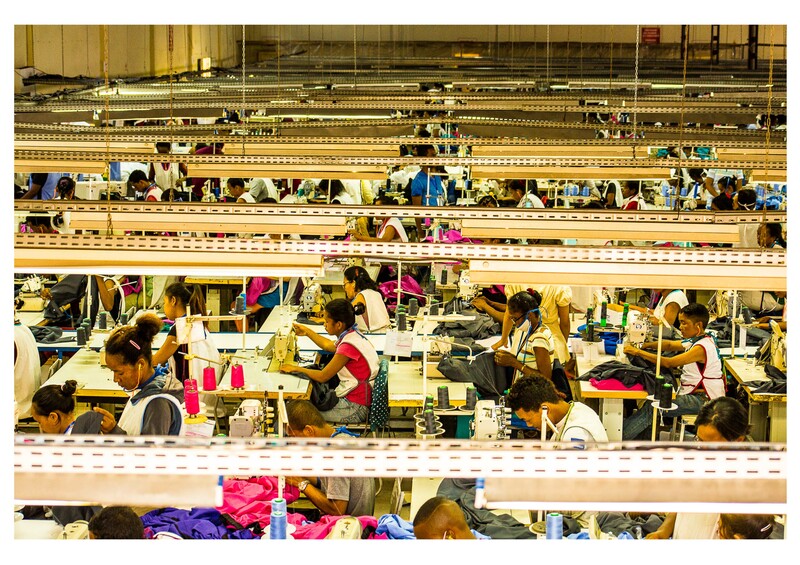 Madagascar's textile and apparel sector consists of woven (54%), knitwear (14%), as well as lingerie, embroidery including hand-embroidery, denim, high fashion, fancy dress, medical clothes, work wear, sportswear and specialized apparel using technical fabric. Customers include Gap, Zara, JC Penny, Décathlon, Camaieu, Woolworths, Walmart and Tesco. The sector benefits from a skill labour force, plant-based fibre products for the manufacture of textiles, and an attractive geographic location near business platforms in Mauritius and South Africa, which facilitates access to expertise, inputs and logistical support for export, as well as free zones (zones franches) and duty-free access to the EU and US markets. Cut, Make, Trim (CMT) activities. Manufacture of buttons, closures and labels. Dyeing, spinning and weaving activities. Manufacture of plant-based fibre products or other processed products of vegetable and animal origin. This sector started in the early 1990s, originally in the area of database management. However, the arrival of undersea fibre optic cables have allowed the BPO and call centre sector to become export-oriented. Call centres can benefit from the small time difference with European and African French-speaking countries. 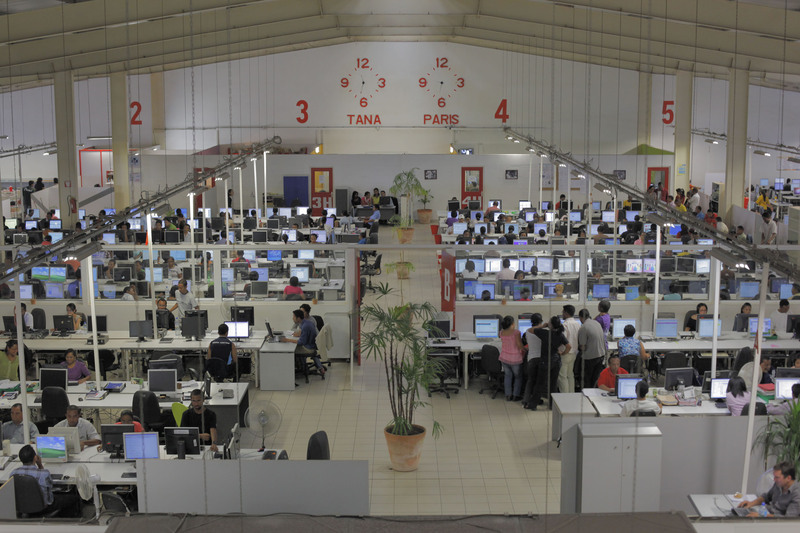 The workforce is also able to speak French without an accent and wages run around 200 USD per month. The BPO sector has benefited from the presence of engineers and technicians (200 graduate a year with a qualification) although there remains a shortage. Investors identify energy generation is an opportunity as the sector is open and competitive. Tourism also retains a great potential and the existing infrastructure is insufficient. A worsening security situation over the past years and shortage of qualified staff have slowed down its development. Although the reliability of Air Madagascar is reported to have improved recently, problems remain. Hotels noted that most supplies were available within the country. A number of operators reported their concerns with the hustling of tourists by authorities at airports and police checkpoints. 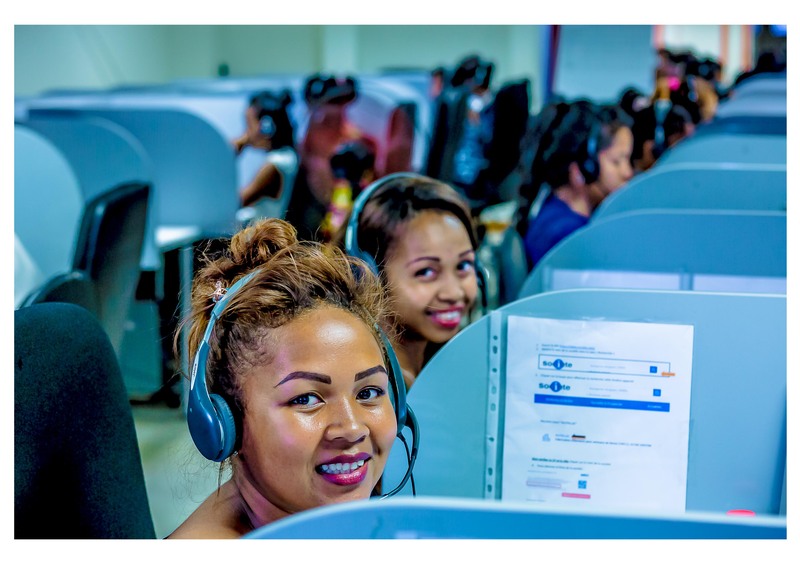 Some investors also believe that Madagascar have a competitive edge in the call centre business due to the French language skills of the population coupled with reliable telephone and internet connection and low labour costs. Strong potential in the sectors of tourism, mining, energy, agro-processing and apparel. Diverse landscapes and climate areas with a unique biodiversity. Preferential market access to the European Union, the United States and Eastern and Southern Africa. Liberal investment and fiscal regime.